SUMMA THEOLOGIAE: Prayer is a “request or petition to God”. To pray is to ask fitting things from God”. To me PRAYER is an active seeking of truth followed by understanding. To me this viewpoint of God is finite. This definition is relative to the physical universe only, because beingness is a property of the physical universe. The infinite conception of God becomes more and more comprehensible as the veils due to inconsistencies of the physical universe drop one by one. 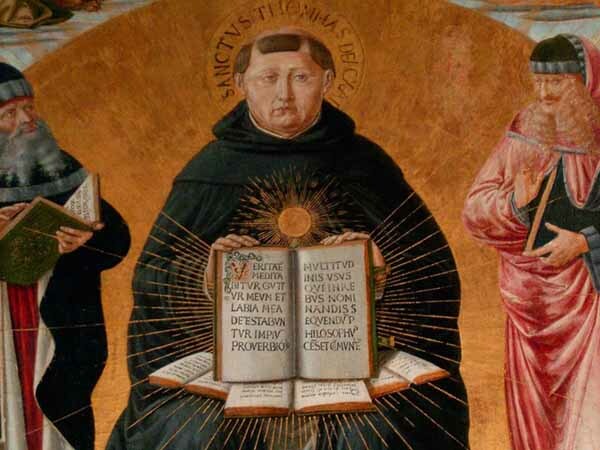 SUMMA THEOLOGIAE: Is prayer an act of the cognitive or appetitive powers? I consider this questions as follows: Cognitive has to do with knowing, or knowledge. Appetitive has to do with seeking, or passionate longing. A being, by its very nature, seeks truth toward greater awareness. Thus, prayer may be considered appetitive. To me this phrase means that one should start with a truthful perception of what is there. Perception should not be filtered through opinions. What is IS, and should be perceived as such, before further conclusions are drawn. To me this phrase means to look past the idea of “self” that represents one to oneself. Self is a viewpoint fixed by physical universe experiences. Truth cannot be perceived completely if the viewpoint is limited by a self dependent on the physical universe. Being cognitive is the intellectual aspect of the self. The intellect and reasoning may guide one toward “where to look” but it cannot do the “looking.” When it comes to recognition of the truth it requires “looking” rather than reasoning. Thus, prayer may be considered appetitive. “Prayer is spoken reason” is not an exact statement. Prayer is the action of seeking truth. Prayer may start with some reason, but the recognition of truth bypasses intellect and reasoning. “Poor” refers to one oppressed or suppressed. Largest resurgence of spirit comes from recognition of the source of suppression. To me this phrase means that an unwanted condition disappears the moment its truth is perceived. The common Jews, at the time of Christ, were made to feel guilty when they could not observe all the “laws” prescribed by the priests. The moment they recognized the source of suppression to be the priests, who were prescribing arbitrary “laws” falsely in the name of God, they felt a tremendous relief and resurgence. When Christ brought general attention to this source of suppression, many Jews overcame their feeling of guilt and consequent ills. To me this phrase refers to the feeling of freedom that comes from realization of truth. Prayer is motivated by the need to free oneself from unwanted conditions. Charity comes from the recognition that one cannot be totally free unless others are also free. To me this phrase refers to live forever ethically with truth. To me this phrase means to see things as they are non-judgmentally. (1) Truth seems to exist in now, and not in then. (2) Truth is in the awareness, not in some person, physical object or symbol. (3) Truth does not need to be proved by some reasoning based on History. (4) Truth is arrived at through resolution of inconsistency by looking more closely. (5) Truth stands on the basis of coherence, harmony and consistency.